Mid-season. 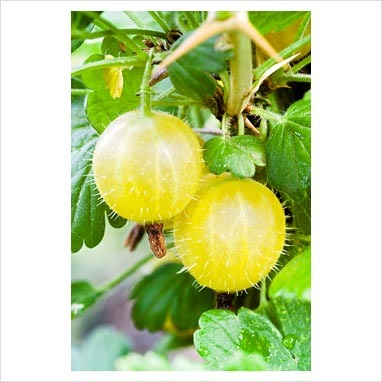 The golden yellow berries are tinged with green and the leaves are an attractive greyish green. The medium sized, delicious, yellow fruit is produced on an upright, compact bush. Extremely popular.